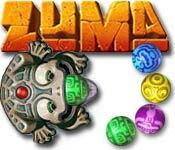 Zuma is related to the genre of ball-games, but today it has become so popular that can be singled out as a separate game category. For the time being it is possible to count more than twenty different small-size games in the genre Zuma. Afterwards Zuma has developed into the most popular arcade. Game Luxor has many similar features with Zuma. Luxor can be considered as more complicated Zuma's variant with more interesting plot. 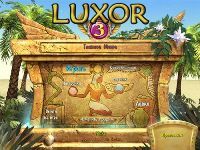 Today there are quite many games belonging to Luxor type and you can get acquainted and download them on our site. This action puzzler, which is considered to be the best-selling, will captivate and make pleasure to the fans of all ages. There are two game modes consisting more than 20 temples that should be explored. 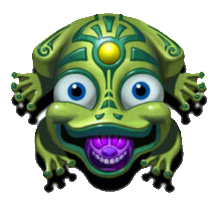 Try to survive in a new developed world of Zuma where malicious tiki has captured the land! Keep your feats on in Zuma's Revenge - Adventure, a fun Marble Popper game. Luxor 3 transforms you into unearthly trip where your Match-3 skills will be used to fight ambitious tyranny of Chaos. By matching three or more, you should stop the approaching of the planets which are moving through the labyrinth. In the Treasures of Montezuma, you will have to choose necessary ancient artifacts and make powerful magic totems active. Come back to the jungle in The Treasures of Montezuma 2, an all-new Match-3 that has more levels, more interesting tasks and which is much more interesting!